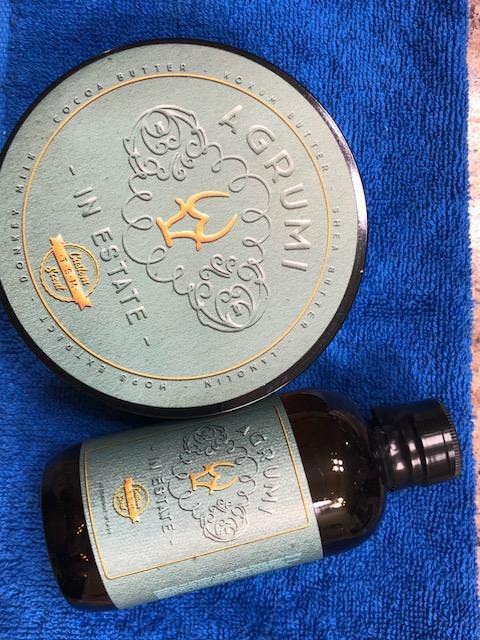 I ended up with 2 sets of Agrumi in Estates tallow soap and aftershave. I have so many soaps I will NEVER need two of these. I am offering a brand new set for sale and I am asking $50 shipped. This is pretty much what I paid plus shipping and subtracting any PayPal fees if it sells. US shipping only. I am posting a picture of the top of the soap because of the way it looks. I can GUARANTEE and PROVE I purchased this directly from WK and I also guarantee neither item has ever been used. Those are not finger grooves or missing scoops etc. This is a great soap base and splash and I find the scent to be unique and excellent (to my nose, ymmv). If it doesn’t sell it may just stay in the cabinet until “needed”. I'm interested, what type of scent is it? Still available and willing to ship to Canada? I have a set already, personally not crazy about the scent. I mainly get lemons and some other fruit but I am also not a citrus fan. The reason why I want a second set is that I don’t know if Sri is going to go further with this base. The base is truely one of a kind. I hold it superior to any other soap base on the market right now. All aspect of the perfect soap aside from scent lie in this one formulation. 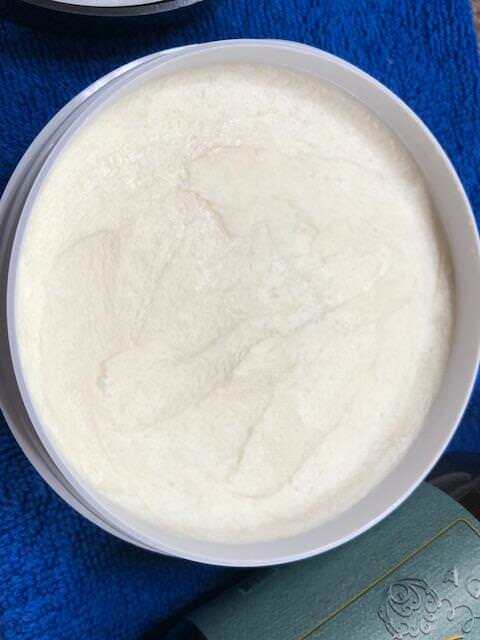 Very thick dense lather, superb slickness, great residual slickness, anti aging serum, and super easy to whip up. You’ll notice after your shave your skin will feel a lot softer than any other soap you’ve tried. Maybe it’s the synthetic collagen? Not sure but I do hope Sri brings it back in some of the other scents!